Sales for facial moisturizers, and serums surprisingly, are among the fastest-growing in the facial product category for men. Serums should be an essential part of every morning and nighttime facial routine. Serums are a water-based liquid concentrate that are packed with vitamins. They target specific skin-related concerns. Some reduce redness and brightness, and others minimize and prevent wrinkles, fight against acne and increase hydration. Serums are very different than moisturizers, although they are commonly mistaken for moisturizers. Serums are highly concentrated and are meant to enhance the effectiveness, longevity and performance of your other facial products. When Should I Apply A Face Serum? A serum is most effective when applied after you wash your face and before you apply your moisturizer. A good serum will have a slightly sticky or gooey consistency, but once you put it on your face it is quick to dry. The serum consistency is unique because it is comprised of small molecules that absorb into the pores of the skin with ease, and they send a targeted blast of good-for-you vitamins and minerals directly into your pores. There are a plethora of different types of serums. Some are recommended for daily use as a single application; others are meant to be applied in the morning and at night. Some prescription-strength serums with harsh ingredients, like hyaluronic acid, are typically meant to be used only once or twice a week. How often you apply the product depends solely on the type of serum you need for your specific skin-related needs. There are anti-aging serums, skin brightening serums, exfoliating serums, acne serums, hydrating serums, pigmentation serums and restorative serums. 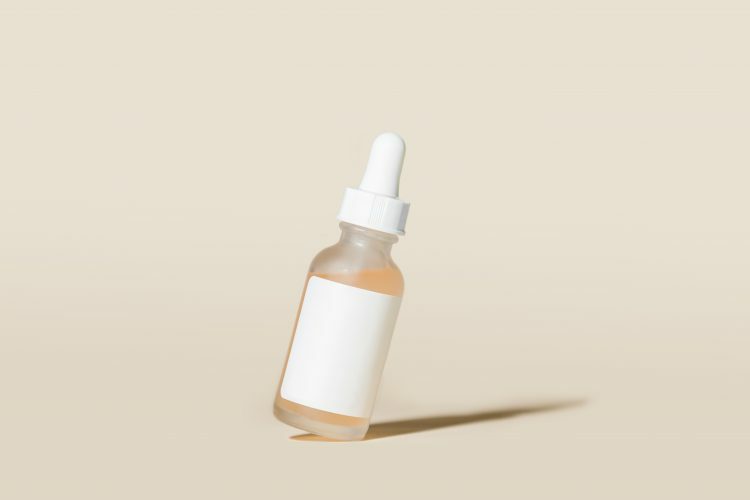 If you have been following a specific skin treatment routine but feel as though your skin is still missing an important piece of the puzzle, you may want to try adding a serum to your daily facial routine. Serums are essentially the equivalent of a vitamin-packed addition to your smoothie or green drink in the morning. They give your body a huge energy boost, and they enhance your overall results. A serum works in the same kind of way. It acts as a booster to enhance your other products and help them work more effectively and efficiently; it primes your skin to look and feel its best and absorb additional products with greater ease. How Is the Serum Most Effective? To get the maximum benefit from a serum, you will first want to thoroughly cleanse and exfoliate your skin. After exfoliation, you will apply your serum and give it a few minutes to dry and settle into your pores. After your serum has set, you will apply a sunscreen of your choice. If you do not typically apply sunscreen, you would put your day or night cream or moisturizer on after the serum dries. Facial serums may offer a minimal amount of moisturizing properties, but they should not be used as a standalone moisturizer. When you are shopping for a serum, you want to look for top names in the beauty industry. Do not be afraid to pay a little more money; a good quality serum is well worth the investment. This pore-refining, anti-aging serum visibly smooths out uneven skin and rough texture, and it also minimizes large pores. It is ideal for oily skin types, and it also provides light exfoliation. With its silky texture and collagen-boosting properties, the Jack Black skin serum is serious about fighting wrinkles. You will see a visible change and reduction in wrinkles and dark spots with two months of continued use. This award-winning serum is also cruelty free and contains organic vegan ingredients, if you look for these types of natural and organic products. Very dry and mature skin is no match for the Mario Badescu serum. The unique blend of youth-boosting botanicals and peptides soothe and cool your face while deeply treating your skin. If you have sensitive skin, the cooling and soothing blend in this serum will help reduce inflammation and redness. It also provides a youthful glow. If your under-eye area has dark circles, dull complexion, dryness and wrinkling, the ELEMIS targeted eye serum is a delicate, but powerful, product that will revitalize this sensitive area. It decongests the under-eye area which reduces puffiness and dull skin. It also helps with sallow skin and wrinkles. If you need a skin-brightening serum, the Korres serum is among the best out there. It has won countless awards from beauty insiders and major publications. It improves your skin's evenness and brightens the skin while combating the early signs of aging. Derived from plants, Korres takes a natural approach to beauty.